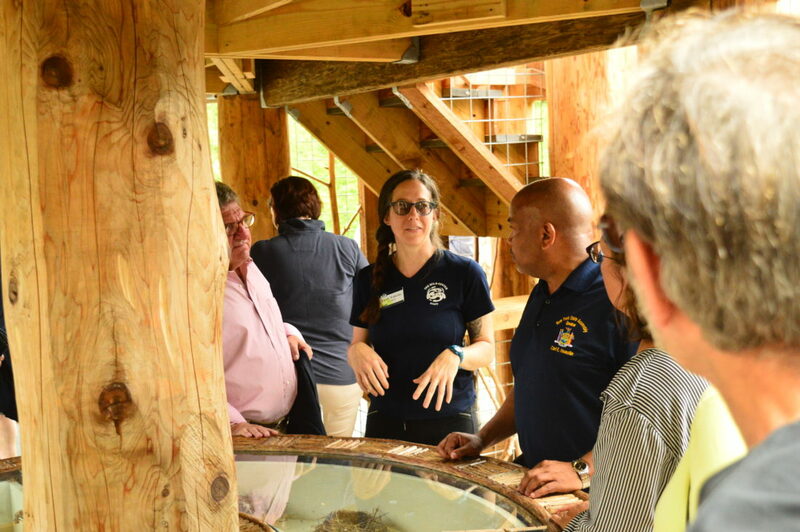 TUPPER LAKE — Speaker of the New York State Assembly Carl Heastie visited the Wild Center Wednesday, touring the nature museum with staff, local politicians and his host, Assemblyman Billy Jones. 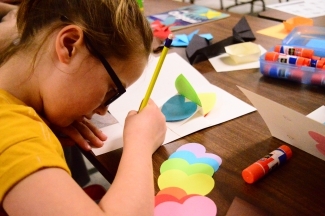 When the Assembly is not in session, Heastie, D-Bronx, said he visits members’ districts all around the state, with the host member choosing where to go and what to show them from their region. This was Heastie’s second time in Jones’ 115th District, visiting the city of Plattsburgh last time, where he saw the Bombardier subway car manufacturing plant and Nova Bus assembly plant. 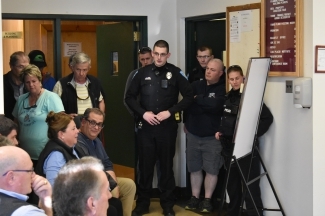 “I remember numerous times last year — we were in certain conversations during the budget — the speaker actually bringing up his trip to Plattsburgh,” said Jones, D-Chateaugay. 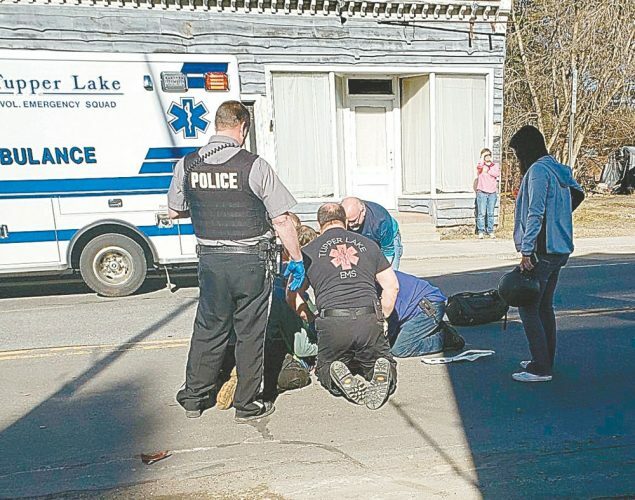 “You can’t overstate the importance of getting high officials like the speaker to actually see things and have memories, images in their head,” said Garry Douglas, president and CEO of the Plattsburgh-based North Country Chamber of Commerce. Tupper Lake village Mayor Paul Maroun said Heastie is the first Assembly speaker to visit Tupper Lake since Perry Duryea in 1971. Heastie partially joked that when he was growing up in the Bronx, he considered anything north of the borough to be upstate. He said learning about the rural and beautiful parts of the state as the Assembly speaker has been exciting and educational for him. “We’re very fortunate to have a leader like him that takes interest in all the residents of New York state,” Jones said. 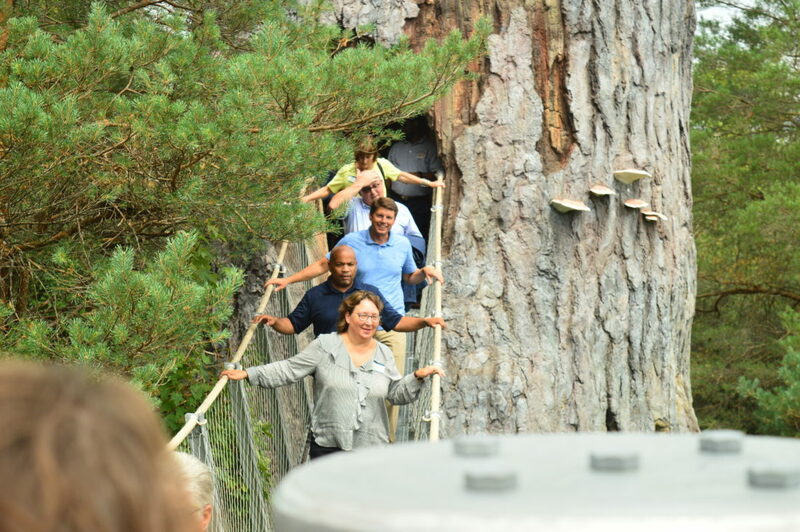 At the Wild Center, Heastie and an entourage hailing from all corners of the state were shown around by Executive Director Stephanie Ratcliffe. 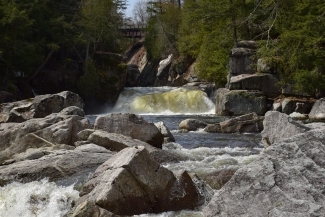 They traversed the Wild Walk to marvel at the mountainous view, watched fish, turtles and ducks swim around in the museum’s indoor pond, and watched real-time weather maps on the Planet Adirondack globe. 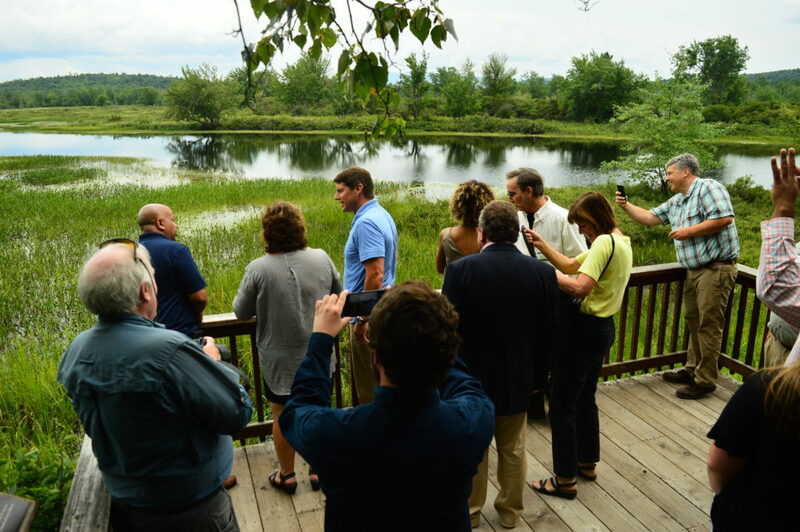 Ratcliffe said she loves to show off the Wild Center, and Wild Center originator Betsy Lowe was all smiles as the guests excitedly took in the view of the Oxbow on the Raquette River, discussed decomposition at a bug and bones exhibit, and climbed into the Wild Walk’s eagle nest overlooking the High Peaks. Heastie had previously stopped along the St. Lawrence River on this trip to Jones’ district as well. 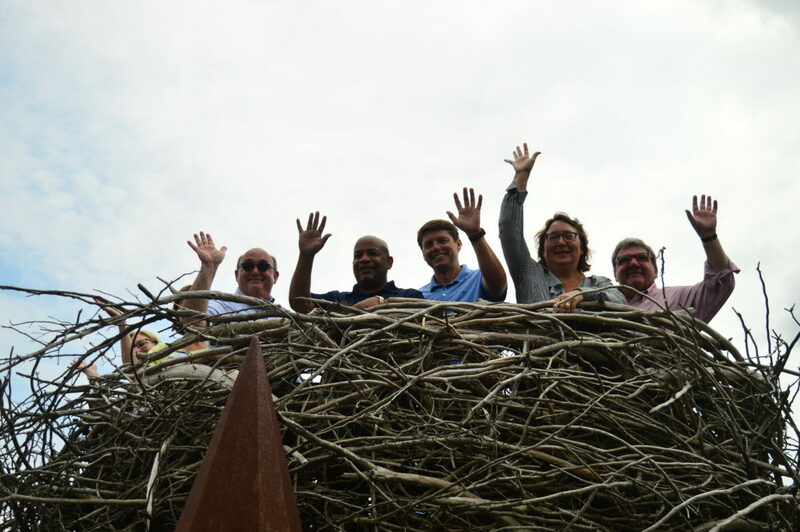 At the Wild Center Heastie discussed the New York Health Act, a statewide single-payer health care bill the Assembly passed in May. He said the bill works on the premise that health care should be a right, not a privilege, guaranteeing health insurance coverage no matter one’s economic status. There are some state representatives who believe this plan could cause more harm than good to the state. For instance, Jones and state Sen. Betty Little, R-Queensbury, are recommending it be passed on a federal level instead. When asked about this, Heastie said New York passage of a state bill could spark the introduction of a federal bill. He said he wants the state to be an example for the country in health care reform. 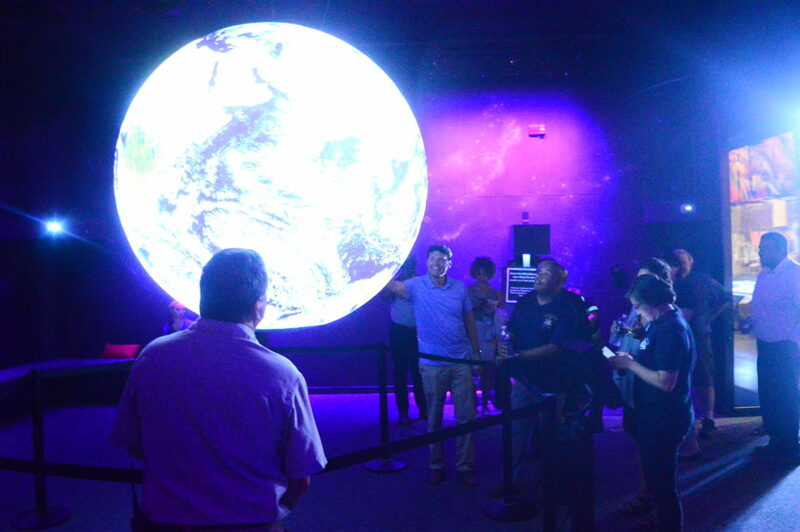 “New York always leads,” Heastie said.